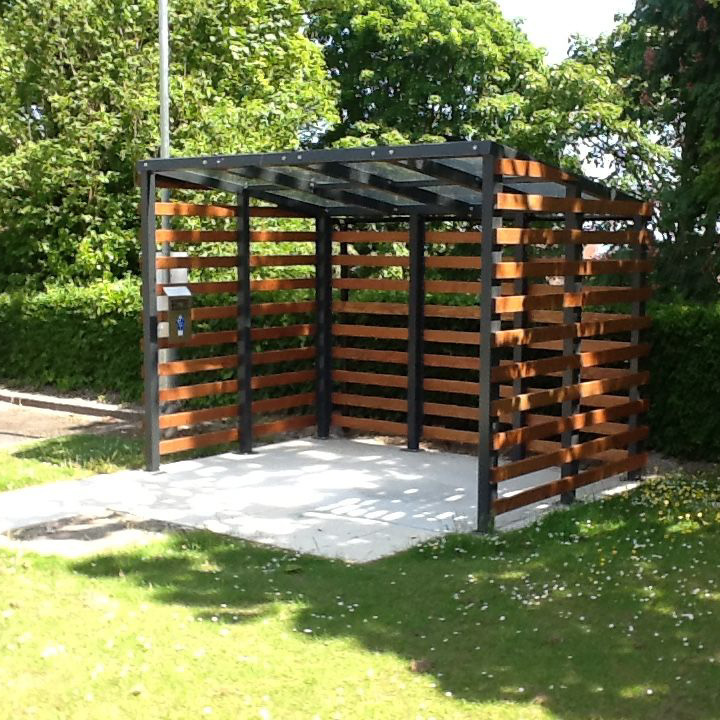 The Torres Cycle Shelter is a cutting edge design comprising of Hardwood and Steel box section which together create a beautiful design. 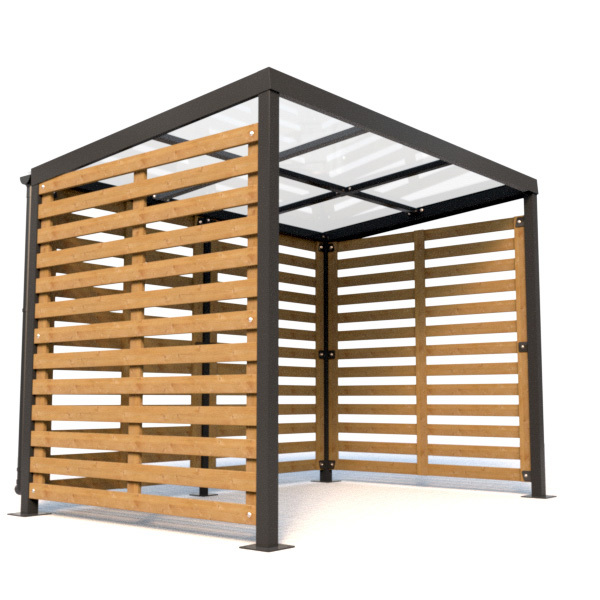 The Shelter is a modular design and is available in different sizes depending on your requirement. 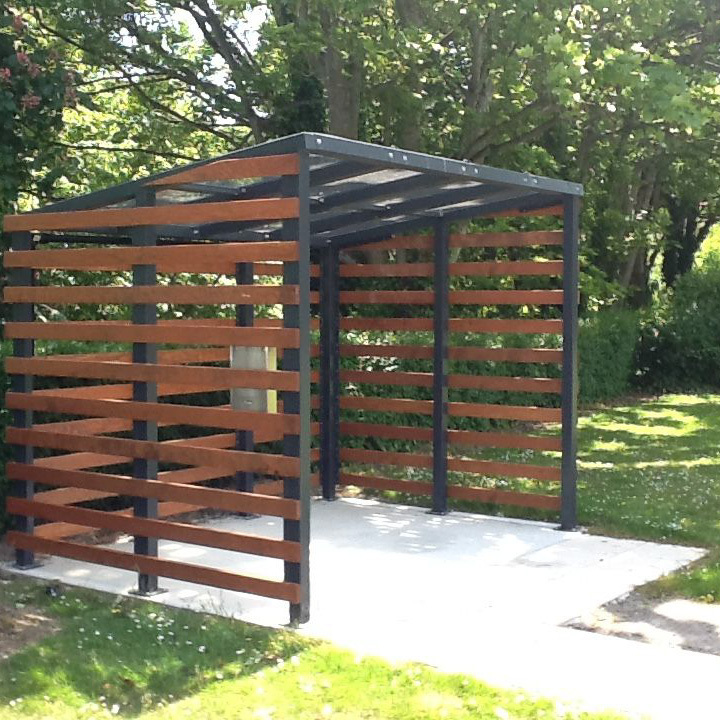 The Torres shelter can also be used as a smoking shelter which conforms to the latest legislation. Spacing listed will hold 8 cycles. 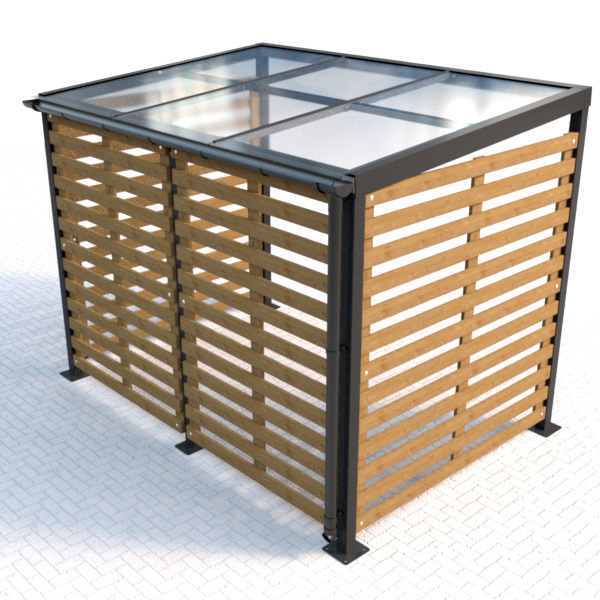 Steelwork is 60x60mm box section. 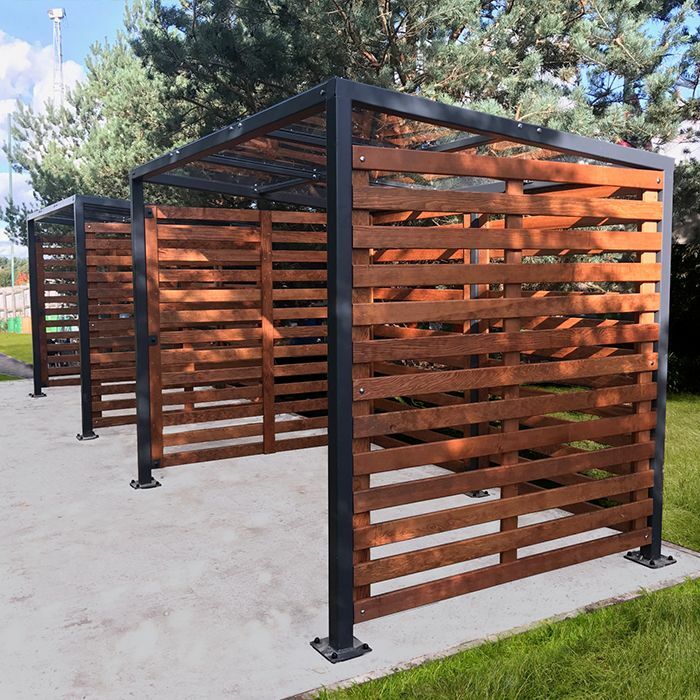 Available in Powder Coating to a selected RAL colour and the wood is available in four different types. 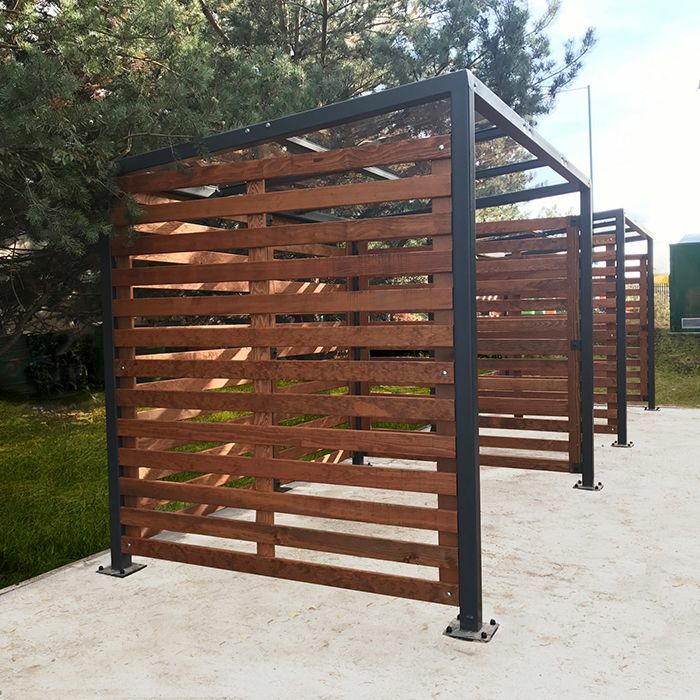 Surface mounted.